KABUL, Afghanistan — President Hamid Karzai lashed out at his U.S. allies again on Thursday after word came that at least one, and possibly two, NATO drone strikes had killed civilians in southern Afghanistan. The attacks came at a delicate moment, when talks between Karzai and the United States over a long-term security agreement had reached an impasse. The Americans have told Karzai that unless he signs the agreement promptly, they will begin planning for a total withdrawal of U.S. and NATO forces after the end of next year. Karzai vowed this week, at the conclusion of a loya jirga, or grand council, that he would cancel the security agreement completely if there was even one more raid that killed civilians. On Thursday, he said in effect, that moment had come. “For as long as such arbitrary acts and oppression of foreign forces continue, the security agreement with the United States will not be signed,” he said. The loya jirga overwhelmingly approved the security agreement last week and called on Karzai to sign it quickly. The Americans have said that was necessary to allow time to prepare for a longer-term mission. Instead, Karzai said he was adding a series of new conditions beyond what he had already negotiated and would not sign until those were satisfied. One of those new conditions was an immediate ban on any raids on Afghan homes. While the raids he was speaking of were primarily those carried out by special operations forces on the ground, his statement Thursday made it clear that he now included drone strikes in his prohibition. Asked about the drone strikes, a spokesman for the International Security Assistance Force, the U.S.-led coalition, did not have an immediate comment but said a statement would be released soon. A Western official, speaking on condition of anonymity because the information had not yet been officially released, said there were apparently two coalition drone strikes in Helmand province on Thursday that might have caused civilian casualties. It is not known whose drones were involved. Both British and U.S. forces use drones in the Helmand area, and on the U.S. side both the CIA and the military carry out drone strikes. 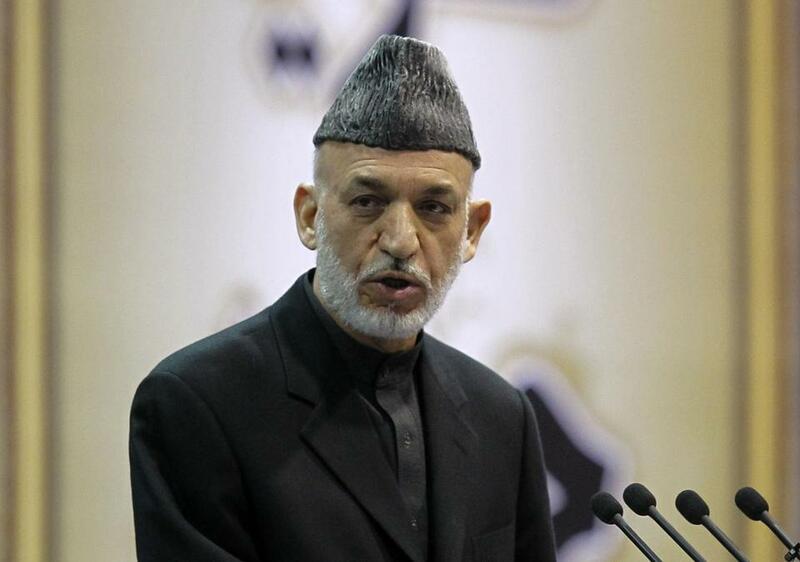 Karzai, in a statement posted on the president’s website on Thursday night, said that a NATO drone strike on a house in Faqiran, a village in the Garmsir district, had killed at least one child and wounded two women on Thursday morning. In a text message on Friday morning, Aimal Faizi, the president’s spokesman, said, “It makes very difficult for the president to authorize the signing of BSA,” the bilateral security agreement. After Karzai announced that he wanted to reopen negotiations on the agreement, President Barack Obama’s national security adviser, Susan E. Rice, told him in a meeting here Monday that the U.S. had concluded negotiations and unless he changed his mind would begin planning for a total withdrawal. The bilateral security agreement provides for a 10-year-long U.S. military presence in Afghanistan, beginning in 2015. Rice also said that financial aid to Afghanistan’s security forces would be imperiled without an agreement. In a public meeting in Herat on Wednesday, the U.S. ambassador, James B. Cunningham, reminded listeners that even Karzai’s handpicked loya jirga, composed of some 2,500 leaders from around the country, had urged him to sign the agreement quickly.